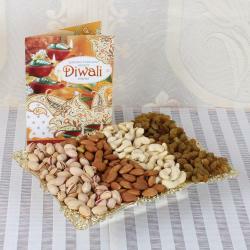 Product Consists: Diwali Greeting Card, Assorted Dry Fruits (Almond, Cashew, Raisin) (Weight: 300 gm) in a Basket along with Laxmi Ganesh Silver Plated Coin (Weight: 5 gm). Diwali is the festival of lights happiness and togetherness. Diwali bring the most happiness in every oneand#39;s life so gift a special gift to loved ones. 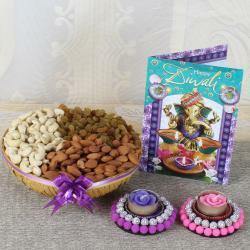 Gift like healthy dry fruits with diwali card and silver plated Coin to your loved one and wish for their successful life. 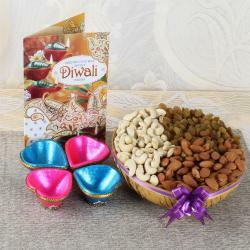 Without this gift hamper Diwali occasion is incomplete so it is Perfect gift for Family or Relatives or for Friends. 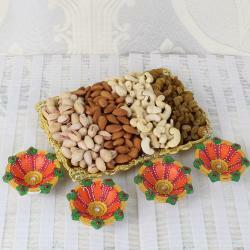 Dry Fruit is one of the most popular and widely appreciated gifts on the Traditional festival and especially for Diwali. All the love and care you have for your dear ones cannot be expressed merely through words. For expressing them in the best manner, Giftacrossindia.com offers this elegant combo of Dry Fruits that will tell them all about what feelings you carry for them. 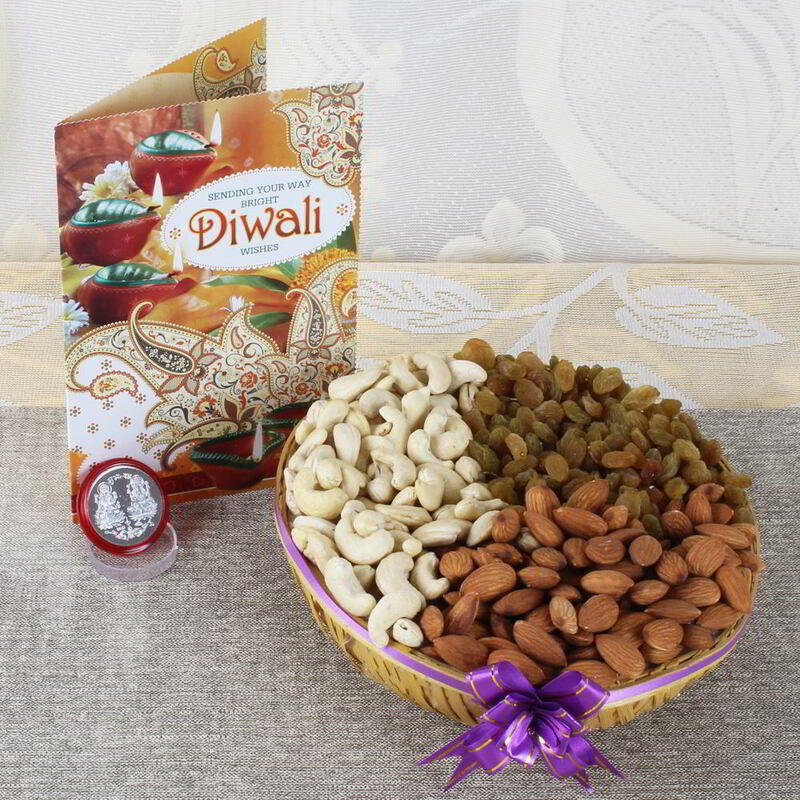 Product Includes: Diwali Greeting Card, Assorted Dry Fruits (Almond, Cashew, Raisin) Weight: 300 gm in a Basket along with Laxmi Ganesh Silver Plated Coin of 5 gm.